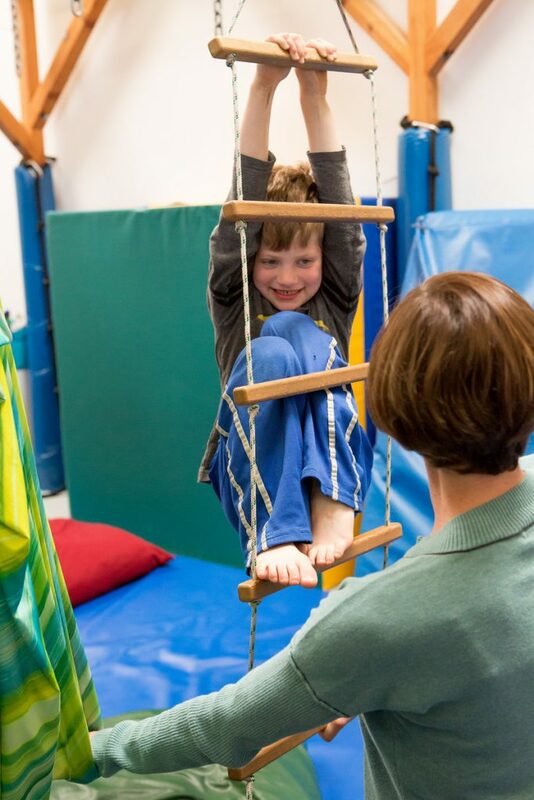 Treatment sessions at Ready Set GO Therapy are packed with 50 minutes of “just right” challenges for a child. In a safe, enticing environment, with the skill and careful scaffolding of their therapist, children challenge themselves to reach the next level of development. Each session is carefully planned and built upon the last session to maximize outcomes and help children and families reach their goals. Our objective is to have children leaving their sessions feeling successful and wanting to come back for more, all the while, building the foundational skills they need to meet therapy goals. Intensive therapy services are available and can be highly valuable as a child begins the therapeutic process. Sessions may last from 50 – 110 minutes and may be conducted 3 or more times per a week for several weeks. It is common to see very fast initial progress with this more intensive approach and summer or school vacations may lend themselves well to this scheduling.